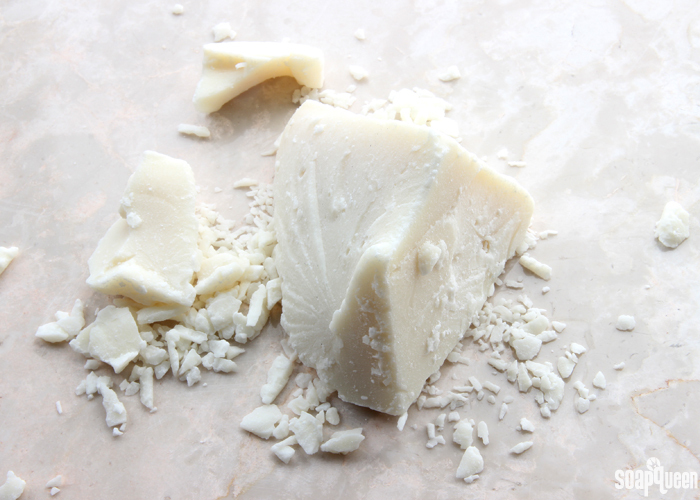 Naturally, cocoa butter has a rich aroma, but a majority of this can be removed via steam. 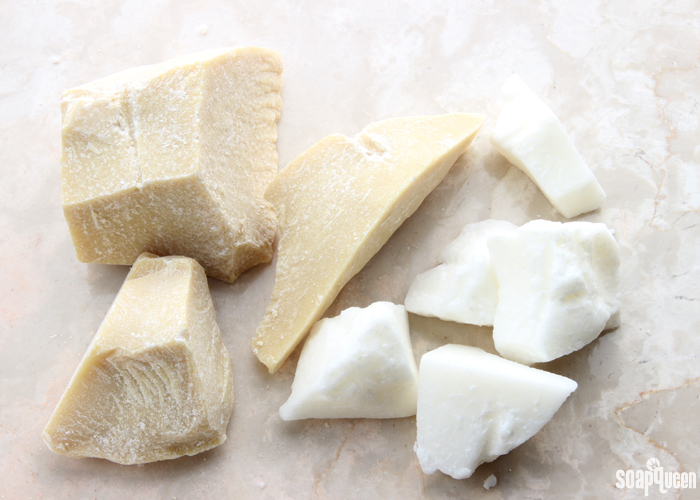 This process results in deodorized cocoa butter, which has a lighter smell and color. I love using cocoa butter in my cold process soap when I want to add firmness in addition to skin-loving properties. In particular, it’s a great choice when you’re making a palm-free recipe. It does not contribute much to lather so I recommend using cocoa butter around 15% or less in your cold process recipes. A higher percentage can cause the soap to crack, or feel brittle or waxy. It’s also great when formulating a firm lip product or balm. Hi! What would your suggestions be for Sal Butter (Shorea Robusta)? I have read that it is a wonderful butter for lotions and creams but I am not able to find much information about this butter. Can you please advise if you have tried this in any of your recipes? Hi! Do you add butters before or after adding the lye? I just purchased some mango butter to harden my soaps and would like to know if I need to add it to my other oils. I use a blend of sunflower oil, olive oil, coconut oil and castor oil. You can add that butter in with the rest of your oils. We like to heat the liquid oils together, then add the butter to those and stir well. That heats the butter gently, which helps prevent graininess. If it doesn’t melt fully, pop the oils back into the microwave and heat on 10 second bursts until it does. Then, once your lye and oils are around 100-130F, you can start emulsifying. Hi! I know I’m late to this party. But if you’re making soap with it, you have to add it before the lye. The lye is what saponifies the oils/ butters (changes it into soap). If you add it after the lye then it won’t be changed into soap. Can we use body butters in melt n pour soap based, what would be the percentage and lastly what about their shelf life?? Hello I just came across this. I’ve been trying to research for awhiloed lotion I can use only one year old before bed time and am wondering if there’s any you recommend (I’m not sure if they’re all safe for children)? It seems most recipes I find are calling for shea butter, coconut oil, and some even vitamin E and arrowroot or cornstarch. All of our recipes are skin safe and can be used by children. To be extra safe, you can make them without fragrance and color just in case of any sensitivities. 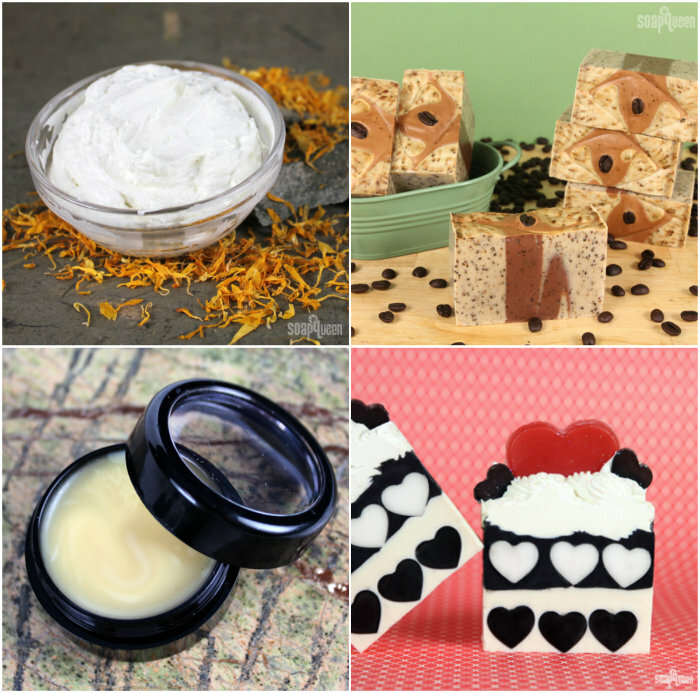 Body butters/balms are another option – they are made with just oil and butter and are super moisturizing on the skin. I’ll link a few recipes you may like below. I am a beginner and have been experimenting with unrefined shea butter. 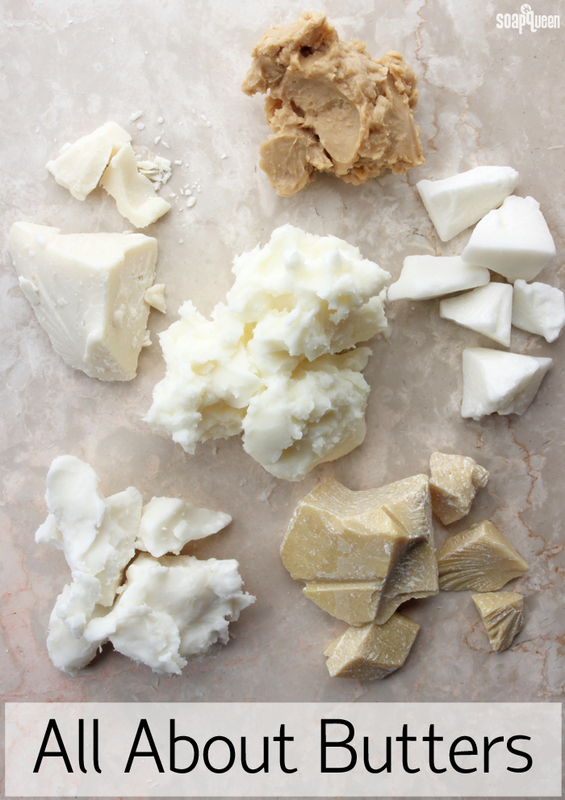 I recently whipped up a few sample batches of shea butter and added the following carrier oils: coconut, sweet almond, castor, vitamin E, rosehip seed, and tamanu oils. I also added peppermint and rosemary essential oils also. I used this as a sealant for my naturally curly hair and experimented and made another batch also with shea and coconut, almond, and vitamin E oil as a body butter. My family and I don’t mind the greasy feeling as we actually love it on our skin and so does our friends. Should I be worried about adding a preservative to my mixture and how long will the product keep. Thanks for the feedback Kelsey! It’s good to know that my Shea Butter Cream doesn’t need a preservative as I’ve sent some to my family and friends to try out and don’t want to harm them. 😊 As I previously stated, I used the first mixture mentioned as a sealant for my naturally curly hair and used grapefruit, lemon, and sweet orange essential oils because I love citrusy smelling products. What essential oils do you recommend me using for the buttercream when using on naturally curly hair so that it won’t dry the hair out. Eventually, I will be selling my mixtures and want to know what your stance is on replicating your buttercreams, soaps and lotions, etc. for profit. What is the best way to clean up after using butters and beeswax. Cant seem to get my tools and glass measuring cups clean. Have tried hot water and plenty of soap and hot dishwasher. Just seems to smudge around. This is my first time using these products. I will be making whipped body butter for the first time, after watching Anne Marie’s post. now I going to order mango butter. cross my fingers I do it right. post. Hi I found a lotion recipe from you tube that sends me here (soap queen) that calls for Shea butter, coconut oil, argan oil, vit e,cacao butter and mango butter and lavender eo. Please help! It looks amazing and I would love to try it, but don’t have the cuantities. Do you know the name of the recipe they recommended? Let me know! I have made a lavender body butter but for some reason it is not holding its shape after whipping it.IT has equal parts of shea ,coconut,and sweet almond oil. Hello everyone. I would like to ask about butters such as coffee, oat, I’ve even seen jojoba butter. I recently purchased some oat butter but I’m not sure how to list it on a soap calculator. Do I list it as vegetable oil? Or say I was using jojoba butter. Would I put it under jojoba oil or vegetable oil? Thanks again! We haven’t done a lot of experimenting with those butters, so I’m not entirely sure! The SAP value may be a bit different between the oil and the butter. I would recommend contacting the manufacturer to see if they have that SAP value. For soap, I use Shea butter almost exclusively. My standard recipe is 35% olive oil, 35% coconut oil, and 30% Shea butter. Everyone goes crazy over this soap. Expensive, yes. But I don’t sell, I give to friends and family as gifts. You can’t buy 30% butter bars on the market so I’m making a product for family and friends they can’t get any where else. 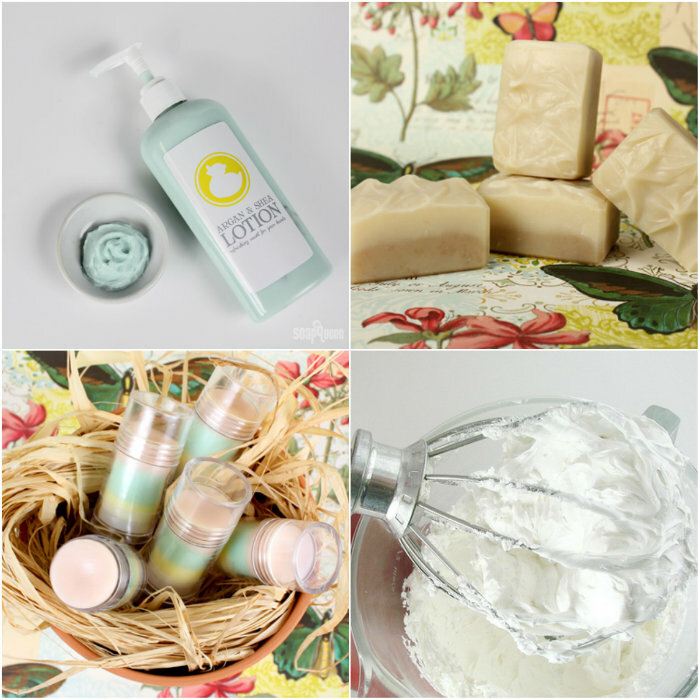 Do you have a recipe for a body butter in the summer? I live in a very hot climate where temps can get up to 100+ in the summer. I find the normal body butters melt completely in the summer and in transit. 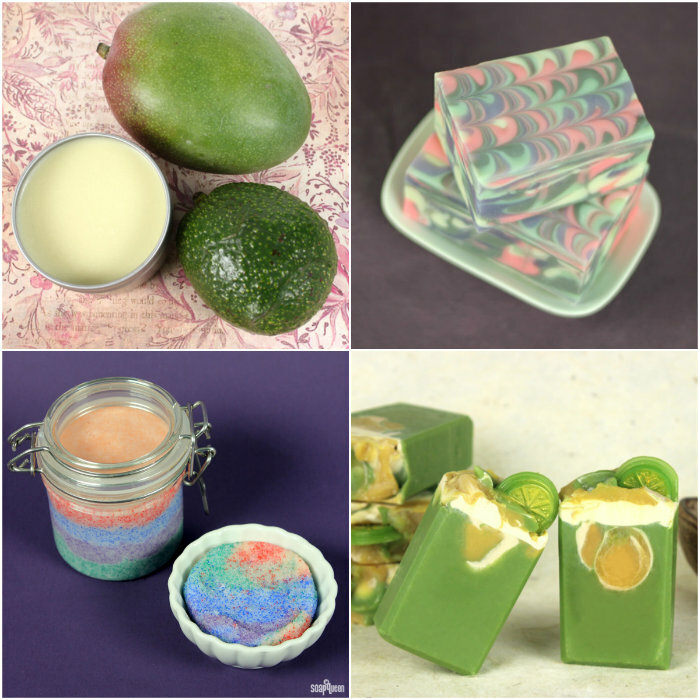 I’ve been working on some soap recipes that are for aging damaged skin. I’ve read a lot of positive things about Tamanu Oil. My question is for not only this oil, but also for other oils and butters. Do the healing properties of these oils become lessened with the heat from the saponification process? Many of the more “exotic” oils come with a big price tag. I’d hate to ruin the healing properties of them, during the process. Would making a salve or lotion with them keep more of the restorative properties, intact? Kelsey, Thank you for the information and the recipes. I will be trying some of these this weekend. Should be fun! 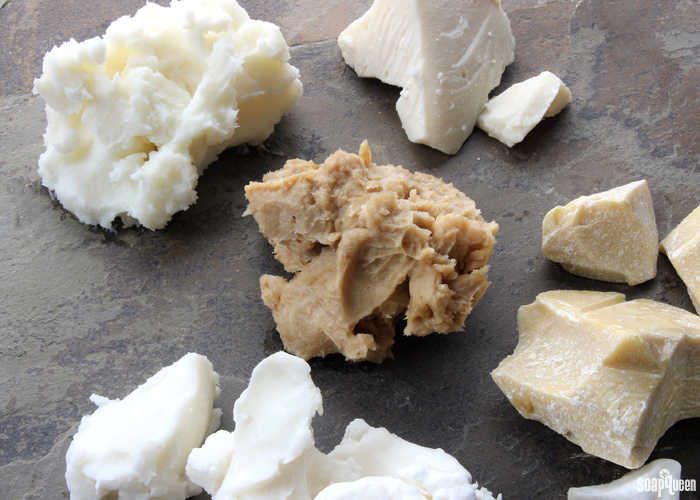 You can use raw shea butter in your products if you like! 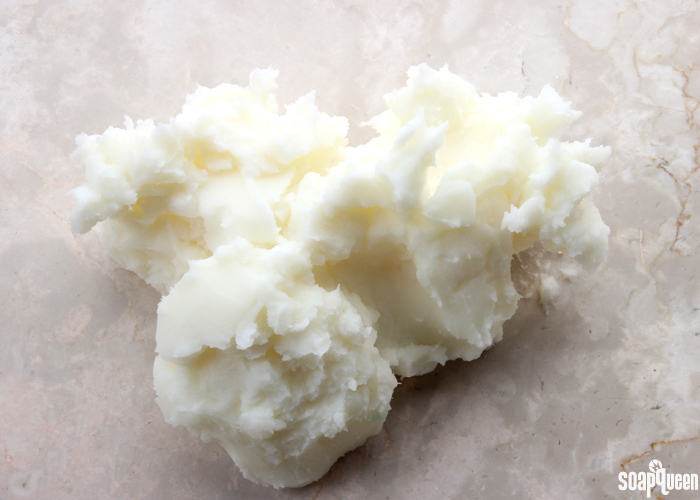 Raw shea butter is darker in color, has a slightly nutty/smoky smell and has a shorter shelf life. That’s something to keep in mind when crafting with it! Hi, I’m a new beginner for cold process soap. I want to experiment making vapor rub. I understand that one of the ingredients is beeswax. If I do not have that, can it be substitute with candellilla wax? Just wondering if you have any tips on making vapor rub and like what type of EO should I add in besides Eucalyptus oil? From personal experience mango butter turns a very bright yellow when exposed to lye. 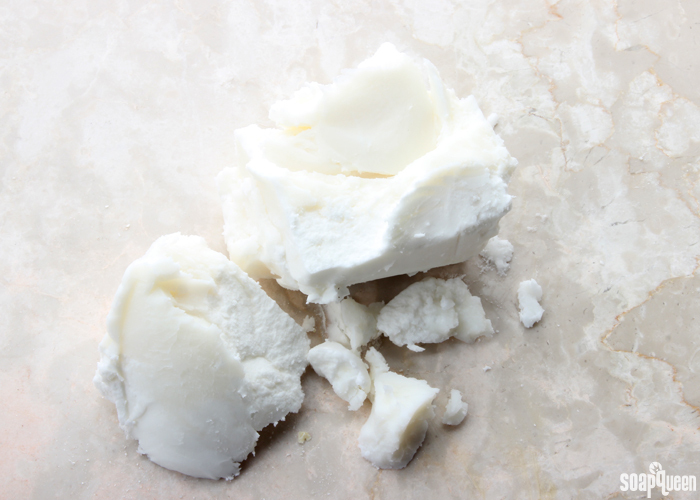 I have substituted it for shea butter in several recipes that I had previously made with shea butter, adjusting for the lye of course, and the recipe went from off white to bright almost florescent yellow. I have not used coffee or avocado butter before, but I love the others. Thanks for another great resource! I always like to see the new projects, but I think I like the informational posts just as much. So hydrogenation is really a process of taking unsaturated fats (your liquid oils) and converting them into saturated (well, realistically, mostly saturated-it’s difficult to make every unsaturated portion of the oils saturated but that’s another day for chemistry!) oils/butters. This saturation process is where we are “adding hydrogen” to the oils. When this process occurs, it changes the properties of the oil: the more saturated a hydrocarbon chain (i.e. oils/butters), the higher the melting point. Thus, you get a solid oil, or, butter in this case. 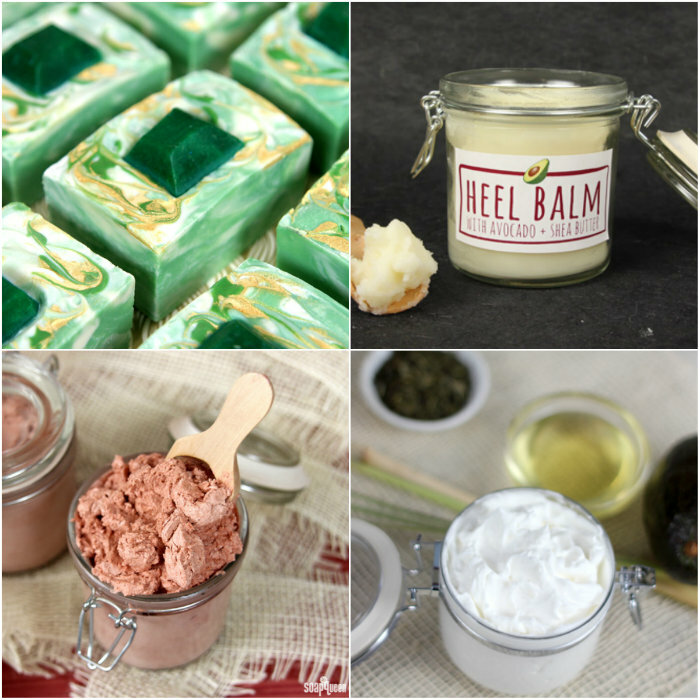 This is a great roundup of products! 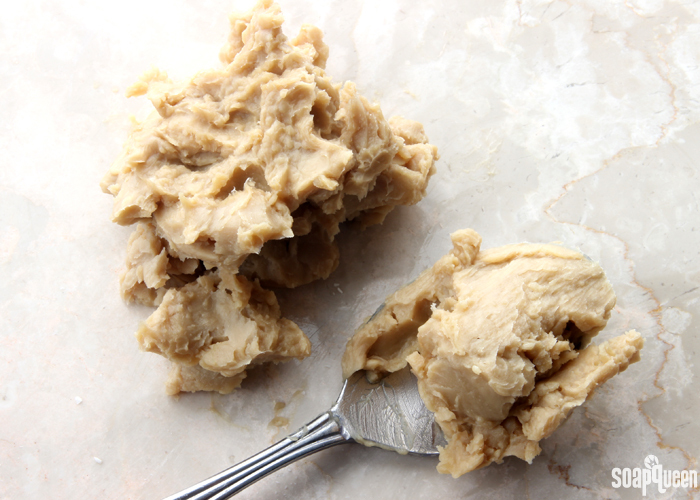 I love the whipped butter teacher Lori makes – it’s awesome! It has mango, shea & cocoa butters in it.